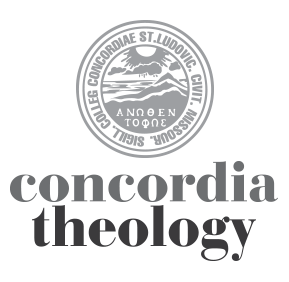 Concordia Seminary is pleased to announce the 2nd Hispanic Theological Consultation, and the 6th Annual Lecture in Hispanic/Latino Theology & Missions. The theme for the three-day event is: “2nd and 3rd Generation Hispanics in the U.S.: Questions and Implications for the Church.” These will take place from Monday, March 14, through Wednesday, March 16, 2011. Dinner and Latino Movie Night will kick off the events on March 14. The 6th Annual Lecture speaker is Dr. Victor M. Rodríguez, professor at California State University, Long Beach, Calif. (CSULB), who will present on “The New Latino Generations: Caught Between Two Worlds.” The lecture will take place in Werner Auditorium on March 15 at 7:00 p.m.
Dr. Rodríguez is a sociologist and professor in the department of Chicano and Latino studies. He received his doctorate in comparative culture (sociology) from the University of California, Irvine. He is a national speaker on Latino issues and as an anti-racist multicultural education trainer has worked with universities, corporations, social service agencies, police departments and religious organizations. His writing and research focuses on the role of race and ethnicity in the U.S. and Puerto Rico. His most recent book, Latino Politics in the U.S. (Kendall-Hunt Press, 2005), was the recipient of an honorable mention in the Gustavus Myer Center Outstanding Books Awards process that year. He served as associate director for studies in social science for the Commission for Church in Society and later as associate director for racial justice in the Commission for Multicultural Ministries of the Evangelical Lutheran Church national headquarters in Chicago from 1987-1990. From 1990 to 2000, he was a professor of sociology and director of the social work program at Concordia University, Irvine. As part of these events, the 2nd Hispanic Lutheran Theological Consultation will offer workshops and presentations in English and Spanish from Tuesday morning through Wednesday morning. Presenters will include: Rev. Eloy González, Rev. Aurelio Magariño, Rev. Héctor Hoppe, Prof. Mark Kempff, and Dr. Leo Sánchez, director of the Center for Hispanic Studies at Concordia Seminary. Presenters will share relevant cultural and demographic keynotes that aim at understanding 2nd and 3rd generation Hispanics. They will also pose critical questions based on the research and explore its implications for the church, missions, youth and family, and other areas of our life together. Latino Movie Night on Monday and the 6th Annual Lecture on Tuesday night are free of charge. The cost for attending any of the plenary lectures for the Hispanic Lutheran Theological Consultation, plus dinner on Tuesday night, is $35. CEUs are available. For more information, contact the office of continuing education and parish services at 314-505-7486; ce@csl.edu; or visit the Seminary’s website at www.csl.edu.